Oh man, now that I've started seriously browsing Etsy I know I'm going to be in trouble. There are so many amaaaazing things on there that I would really just adore having. It's gonna be a briiiiiiight bright, bright sunshiney daaaay! God this print makes me smile every time I look at it. Done by the lovely farouche on Etsy. Her "Make Do and Mend" print is also one I wouldn't mind having somewhere within eyesight. One of many wonderful necklaces from Kristen's Custom Creations on Etsy. 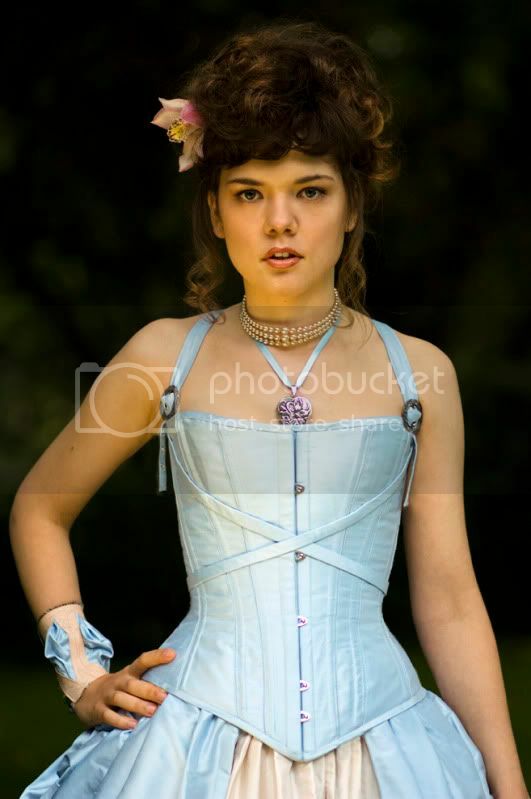 An absolutely amaaaazing corset done by delirium71 here on LJ. You can see more shots of this Cinderella-inspired outfit here! I can't wait to see what other fairy tales she does! Wow, those are all wonderful and beautiful. :D Thanks for sharing!!! I know, I LOVE browsing etsy :| It's like crack.